Littlestone is a gem of a golf club, lying on the stunning coastline of the English Channel, at the heart of Kent's golfing paradise. 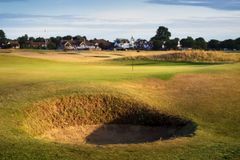 Renowned for its outstanding greens, Littlestone has previously been chosen to host final qualifying for the Open Championship. The genuine links course is a stern test and remains in terrific condition year round thanks to the dry weather produced by the local area's micro-climate. With a rich golfing heritage that began over a century ago, Littlestone oozes character and tradition, which is why so many make the journey to the Kent coastline to enjoy some of the finest links golf. Guests are required to show an up to date handicap certificate upon arrival.